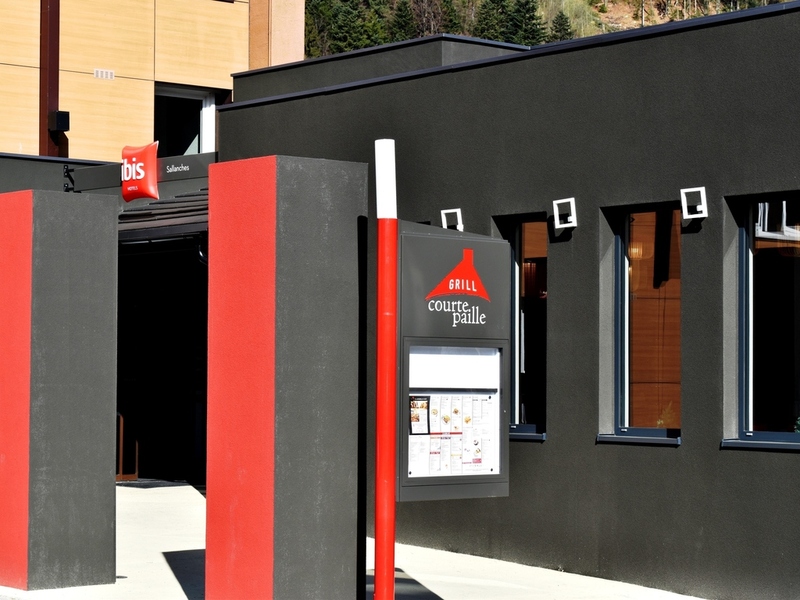 Staff at IBIS Sallanches are courteous and helpful ensuring guests are made welcome. Guest rooms are clean and airy, benefitting from the altitude. It would be mutually beneficial if a “toilet” brush was available. The recent restaurant upgrade is valuable asset. The staff were very good. Our room was kept clean. We had a small problem with the curtain which was resolved Bt the staff in about 2 minutes. They were all pleasant and most helpful and understanding. Our thanks to them all. Friendly welcome from the staff - arriving at 2200 on a cold windy night. Nice beer too. Breakfast is a wee bit expensive for what it is, the coffee could be a lot better - and they don’t seem to top up the very limited supply of meats and cheese. A very satisfactory overnight stay with breakfast and dinner. Reception staff were very helpful as were the restaurant staff. Parking was easy and plentiful. Only downside was the size of the room, as the double bed took up most of the space. The lift is also very small but would be a problem for people bigger than us with more luggage. We stayed overnight, the room was fine but a bit small. Reception was good, friendly staff. Staff amazing , new restaurant - serving good food, rooms clean and tidy , room price excellent and breakfast well worth the price. Excellent stay, in a great location close to all the places we intended to visit. Great value for money. For the first time I had made use of the online check in possibility. So three days before our arrival I have performed the online check-in and I received the confirmation e-mail. As I knew upfront we would arrive late I have filled in we would arrive after 11pm. Now when we arrived around midnight the lady at the reception could find back our registration. We couldn’t understand what the issue was as, with the online check-in our room card should be ready. She finally found our card and handed it over (room 205 or 207 I’m not sure anymore). When we wanted to enter our room it was locked (the green light indicated it was the the right room) and worse, it was already occupied. So when a man opened the door we were both surprised. We went back to the reception and the lady found there was a mistake. Someone of her colleagues had granted our room to these people because they had a complaint about their initial room ( I think it was 215). The lady assigned another room to us (118) so we finally could go to sleep. The next day I have mentioned this to the director of the hotel and he offered his apologies. He couldn’t explain how our initial assigned room was yet granted to someone else. It looks to me that the online check -in is a possible cause for this mistake. Despite this false start we had a very nice stay at the hotel. On the second day my wife fainted because of a blood pressure drop and the personnel of the hotel was very helpful to assist me to return my wife to the room so she could recover. Enjoyed the room, helpfulness of staff, breakfast and location. Great value. The table at te room was not clean, it had marks of dishes, glasses and cola, but I didn't realize that till next morning, once I have already put my own equipment on it...very disappointing! Hotel was good, meal nice, service could have been quicker. Room clean, nice welcome when we arrived. I stopped there on my way to Italy from Paris - very nice staff - clean rooms, bedding etc and a nice little &quot;Courte Paille&quot; restaurant in the facility. Dinner steaks were quite good as was the generous breakfast. Room were small by our standards, but this is Europe... Be cautious as there are two Ibis hotels in Sallanches not far from each other - this is the better one. We will definitely stay there again next year.